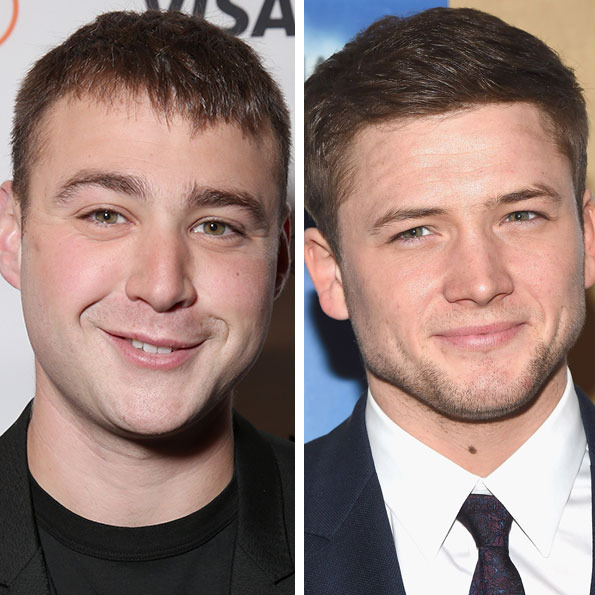 From left: Emory Cohen, Taron Egerton, Alden Ehrenreich, Jack Reynor. The short list to play young Han Solo has just gotten even shorter. Of the ten or so actors rumored to be in the running for the lead role in Phil Lord and Chris Miller’s standalone Star Wars film, THR reports that a handful of them have been called in to London for tests. Before we name names, let’s keep in mind writer Lawrence Kasdan’s words of advice to Vulture back in December: “You want someone who isn’t going to be exactly like Harrison [Ford], you want someone who suggests him.” Got it? Let’s go. Here are the lucky fellows, all of whom have names that seem like anagrams. Emory Cohen (Cheery Moon), the cute guy from Brooklyn in Brooklyn. Taron Egerton (Teen Organ Rot), the Kingsman kid. Alden Ehrenreich (Rancher Heeled In), who stole this and many other scenes in Hail, Caesar! Jack Reynor (Acorn Jerky), who replaced Shia LaBeouf as “the guy” in Transformers: Age of Extinction. It is unclear whether the other actors rumored to have met for the part — a list that includes Ansel Elgort and Miles Teller — are still in the running. Regardless, may the most charmingly roguish of hunks win!